Simple extraction. Performed with local anaesthetic, then pulled out with pressure only – no pain. Surgical extraction. Completed for teeth below the gum line, partially showing through the gums or that have broken off at the gums. 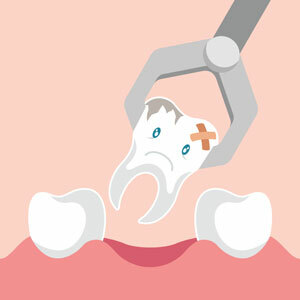 A local anaesthetic is administered, the tooth exposed and then removed. When the procedure is finished, a swab is placed at the extraction site to form a blood clot. We are happy to inform you of any post-extraction advice or tips that will help you.